Used in the 1972 Winter Olympic Games and many competitions since, Okurayama Ski Jump Stadium offers panoramic views of downtown Sapporo and beyond from the viewing lounge at the top. In winter, on days without competitions, visitors can take in the snow-covered landscape from the perspective of a ski jumper. Visitors may encounter practicing jumpers even in summer, as the ski jump is open year-round. 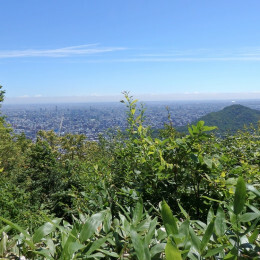 A round-trip ticket for the chair lift costs 500 yen for adults, or 300 yen for children.